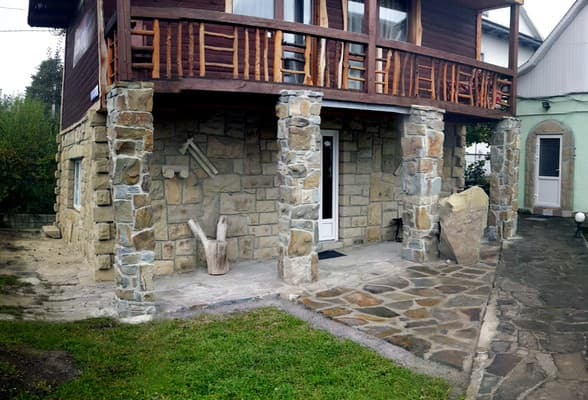 Cottage "The Stone House" is located in the neighborhood "Zhonka" by the river near the center of the city, 100 meters from the famous souvenir market Yaremche. On the territory it is equipped with a seating area with a gazebo and fountain, summer, playground. It offers "standard" with shared bathroom and rooms of category "suite" with private bathrooms. Each room includes Wi-fI access, TV and a terrace or balcony with mountain views. 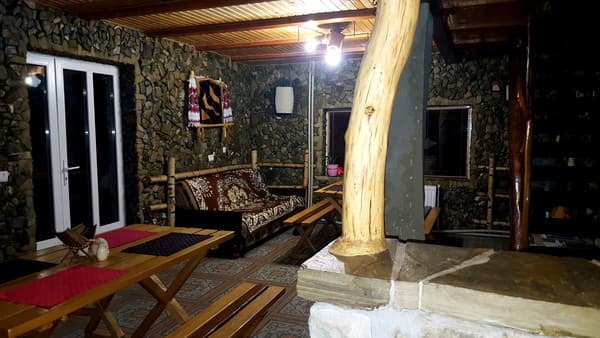 At the disposal of guests a shared kitchen for self-catering (fridge, microwave oven, electric kettle, dinner and tea sets, kitchen utensils), a fireplace lounge, a dining room for 15 seats. Ski resort "Bukovel" is located 35 km 35 km. 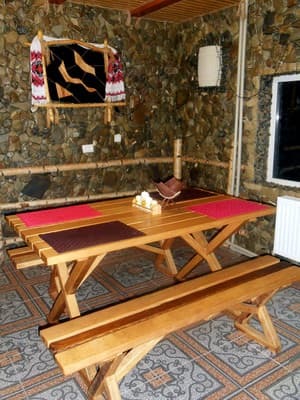 For an additional fee, guests cottage "Kamennіy yard" can be ordered tarnsfer. 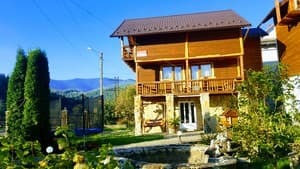 Description of the room: At the disposal of guests a shared kitchen for self-catering, a fireplace lounge, a dining room for 8 mest.Vozmozhno occupancy 2 extra beds. Children under 6 years old stay free with no extra spaces. The rooms category "deluxe" possible extra beds, a paid service, requires prior approval at time of reservation. At the disposal of guests a shared kitchen for self-catering (fridge, microwave oven, electric kettle, dinner and tea sets, kitchen utensils), a fireplace lounge, a dining room for 15 seats. 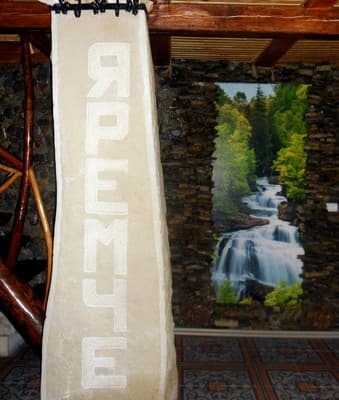 Cottage "The Stone House" is located in the neighborhood "Zhonka" by the river near the center of the city, 100 meters from the famous souvenir market Yaremche. Ski resort "Bukovel" is located 35 km 35 km. Prior to Yaremche by train or by bus. By car: from Ivano-Frankivsk to Yaremche, cross the center of the city, with the center of the first right (about the pharmacy), for the railway crossing to the left, cross the street about 200 m.